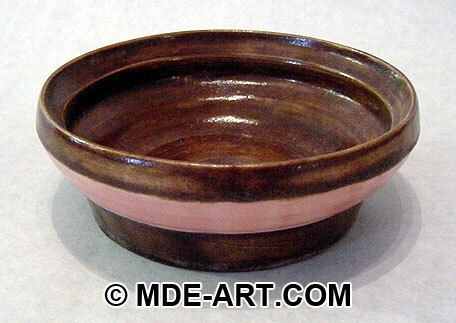 This ceramic bowl and ceramic vase were created in 1998 from pottery clay. 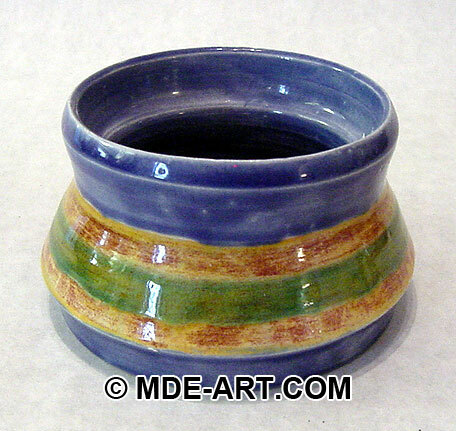 The ceramic bowl and ceramic vase were sculpted on a pottery wheel, and then painted with various colors of glaze. The painted clay bowl and vase were then fired in a kiln for a few days. The heat causes a chemical reaction in the clay and glaze, hardening it to the strength of ceramics. This artwork is a slightly abstract cardboard sculpture of two football players. 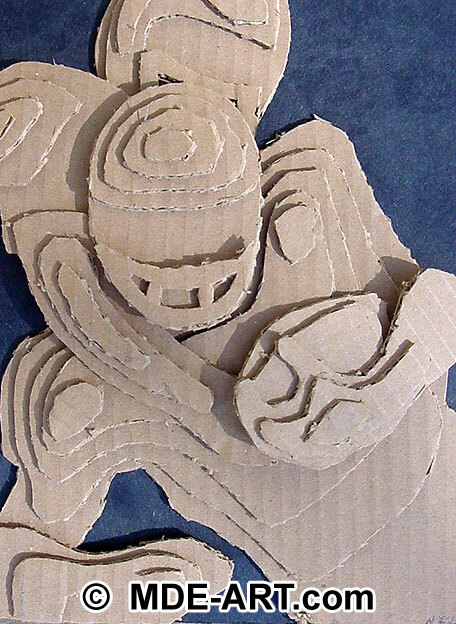 It was created by cutting sheets of card board into various topographic shapes. The shapes were then glued to a sturdy board, and layered on top of each other to give the art work dimension. The subject matter works well for the sculpture because there are many different levels of depth in the scene. This allows for a true 3-dimensional sculpture to be created out of the cardboard.